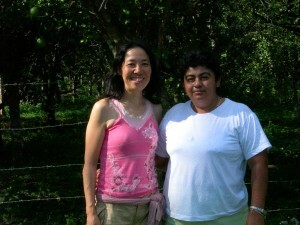 Back in 1991, Miho Ota, the representative of Guatemaya, was in the midst of her journey. Having traveled around the U.S., South America and Central America, she then set off to Guatemala. As she crossed the border, the atmosphere changed and she immediately found it very comfortable. She ended up spending all of her remaining days of travel in Guatemala. 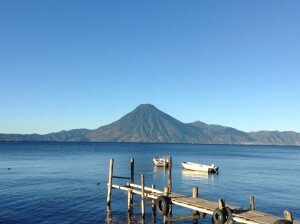 She had fallen in love with the air, the ground, the mountains, the people…… everything in Guatemala. 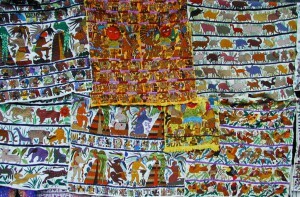 Weaved patterns on costumes of indigenous Maya people are different from village to village, and all were colorful and wonderful. She went to a village and learned the language and weaving. As time went by, she discovered a part of herself that she had never known before. 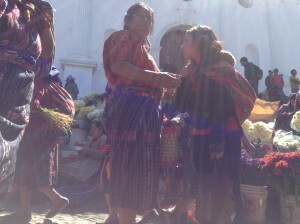 After going back to Japan, she began to frequently travel to Guatemala, each time feeling as if she was coming home. As she traveled back and forth between Japan and Guatemala, she began to think about what her life was for, and started to wonder if there was anything she could do for the planet Earth. Almost a decade had passed since she started to frequently visit Guatemala, when she came across a primeval forest which had been there since the ancient Mayan times. She felt the urge to work toward conserving this forest. This was the moment the bond was born between her and the forest. 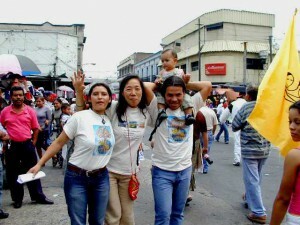 She went back to Japan and founded an NGO, Tierra madre (“Mother Earth”) Project, all by herself. 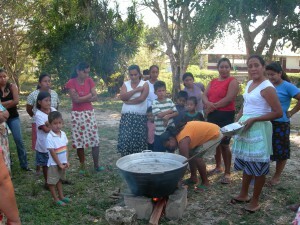 The Project’s activity was mainly offering lectures, proposing what one could do to protect Guatemalan forests. For a while she became rather busy. 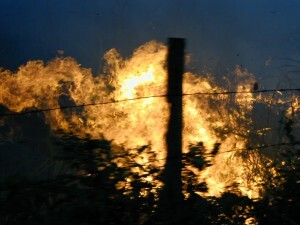 When she finanly managed to go to Guatemala after a long while, she saw the Mayan forests burning here and there. “This is not a wildfire, the forest is being burned on purpose……”. The fire was for burning the forest to make pastures for cattle to be exported as beef. She was shocked as ever. She felt pain and sadness. Despite her intention of protecting the forests, the very forests were rapidly being burned down right in front of her eyes. For the meat we eat; the meat which Guatemalan people will never get to eat. “These pastuers and us, the Japanese people, are directly linked, and I, too, am responsible for this……”, she thought. She felt despaired, not knowing what to do. For some time, she couldn’t do anything. She didn’t know what to do. She went to a church in Guatemala and prayed everyday–“Please tell me what I can do to help”. She felt it was not a coincidence that she saw the forest burning; it was meant to reveal to her the present realities of these forests. So, she decided to start by letting people know what they are not aware of. Around the same time, the natural flow of events brought her to meet a shaman. She was granted a ceremony by the shaman. It was for her alone. The moment she entered the ceremonial site, she had some sensation and the tears flowed on and on. Throughout the ceremony, she was crying. At the same time, she was feeling the strong sense of nostalgia and homeliness in shaman’s words. She felt something was happening deep down in her soul. Still dazed, she brought herself back to the hotel, and as she kept track of what was happening within her, unknown words started to appear within herself one after another. The voice got bigger and bigger until it became a song. Through the ceremony, she was connected with the land of Maya, and the Mayan spirit appeared from deep down her soul; and she then finally understood that the Mayan spirit was present within herself. 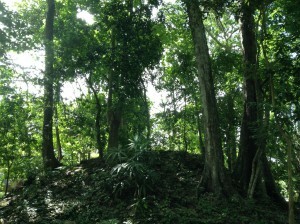 The sharman also had said, “The Mayan spirit and Miho are deeply connected”. 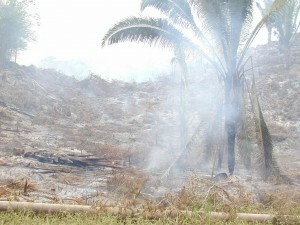 This happened only a week or two after seeing the Mayan forest burning. 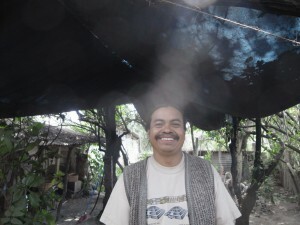 “I, who was born as a Japanese, shall do what I can to save the Mayan forests”. It was way too big a task for her, but she made up her mind. She was strongly encouraged. Eventually, she decided to begin by making T-shirts with illustrations about what was happening in forests in Guatemala, as a way to let people know of the reality. The “No Hamburger T-shirts” and “What We Can Do T-shirts” were born. 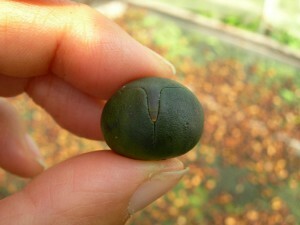 She sold them in Guatemala and Japan while giving lectures. In the meanwhile, her urge to connect more directly with local people grew stronger; and she wondered if there was something which would allow the local people to coexist more with the forests. Around that time, she heard that a group of women were doing something with ramón nuts in a village near the forest she frequented. She decided to pay a visit. There, women were collecting ramón nuts and processing them, all by hand. At last, she found it. This was what she was looking for. She thought that using and promoting this nut could save the forests and help these women. When she asked the women what she could do to help, they said, “We are processing ramón nut but we have nowhere to sell it, so please sell it”. She had known of the ramón nut itself, so this was really an exciting development. Deep down in her heart, she was just so excited, crying with joy.